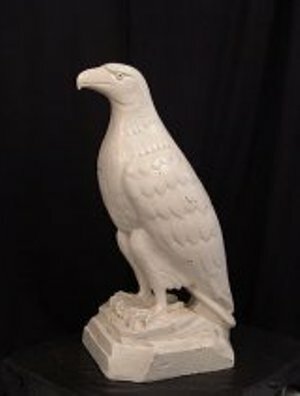 A cast iron eagle—not to be confused with the Maltese Falcon—is the promotional mascot of the White Eagle Oil Company. Large iron or bronze eagle figures or statuettes like the one pictured left are generally “architectural salvage” from 19th-century buildings and monuments scheduled for demolition. Most date from the 1840s through the first quarter of the 20th century. Unless there is a foundry mark or a provenance regarding where they came from, assigning a maker or exact date is unlikely. Most were not custom made pieces, but ‘stock’ patterns, and a foundry would offer the same bird in a variety of sizes from its inventory depending on the client’s needs and pocket book. In the case of this one, bearing a great resemblance to the Maltese Falcon used in the 1941 Humphrey Bogart movie of the same name, its origins are well known. It’s a cast iron mascot used by the White Eagle Oil Company. 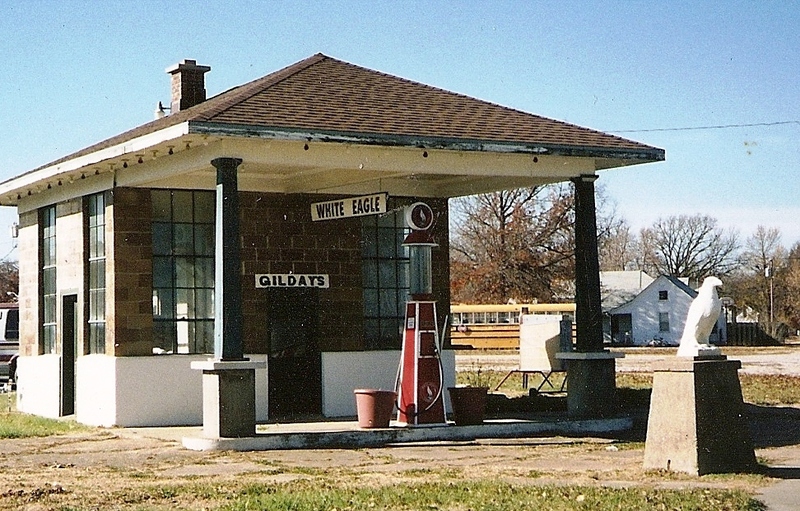 The White Eagle Oil Company had crude oil production and refining operations in Kansas and Wyoming, and at one point, the company had some 1,800 service stations in 14 Rocky Mountain and Midwest states. White Eagle was in business until 1930, when it was purchased by the Standard Oil Company. These eagle mascots were used to draw customers to the White Eagle stations during the 1920s. They could be found at the pumps, the service bay doors, on the roof or at the entrance as can be seen above. While they were originally painted white, most over the years have been either stripped or repainted numerous times. An early White Eagle gas station still survives in Osage City, Kansas. Today the majority of these birds are sought after by petroliana collectors and most trade hands at auction these days, where they often sell in the $1,200-$1,800 range.